Statesboro. Now you’re in business. 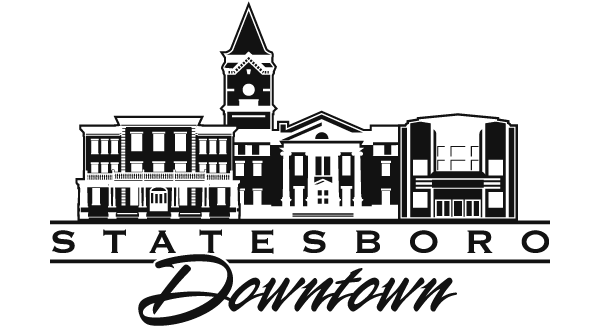 Downtown Statesboro is a business hub and consumer heartbeat in the city. With the 2010 census, Statesboro was named the sixth fastest-growing city of our type in the nation. The city population now tops 29,000, while the Georgia Southern campus adds 20,000 students — all within minutes of Downtown. Include in that customer base the full Bulloch County population of over 72,000, among the 50 fastest growing counties in the country and the potential is clear. We’re at the center of a region primed for growth thanks to local facilities of Fortune 500 companies, a burgeoning University campus, and healthy agribusiness. That’s the impressive big picture, now zoom into the close-up. Traffic counts show 25,000 cars through our Main Street intersection every day. That’s because Statesboro is the county seat with all government offices Downtown, plus an already thriving core of finance, entertainment, retail and business here. Clothing shops and music stores, restaurants and bakeries, antique malls and salons, law offices, banks, and business services of all kinds. The City Campus, an extension of Georgia Southern University, is another downtown resource. It houses the Entrepreneurship Center called the E-Zone, an incubator for entrepreneurial start-ups, complete with support from University staff and Fellows. It’s also a gathering place for business leaders thanks to regular lunch-and-learn programs and a large business resource library. In addition, it’s a popular event venue, offering state-of-the-art technology and several meeting spaces, from an executive boardroom to a classroom setting. Business Incentives: Three programs that grow business and community. Waiver of Alcohol License Fees: For new restaurants only. Download the Incentive Program brochure for all the details. To fund store front renovation and improvements to qualified buildings, business owners in the Downtown Statesboro Incentive District can apply for a matching grant from the DSDA. Contact us to find out more. The DSDA has the ability to offer low-interest loans at below market rates to qualified borrowers in the Downtown Statesboro Incentive District. Contact us to find out more.